REVIEW NO. 1 ~ SIZZLIN' SUMMER FICTION AT IT'S BEST! The Unexpected Bride is a good read - I plan to keep it for my daughter and granddaughters to read. I've enjoyed MS Ullrick's books - especially the lighthearted previous books she's written. TUB - is terrific in its plot - fun in the telling when one brother sets up an embittered sibling by providing what should have been ONE bride but turns out to be several. Fun, thought-provoking for me and I believe, in my limited knowledge, it to be historically correct. MS. Ullrick is an author to follow - she's got a talent for bringing out the best in her characters. After reading this book - THE UNEXPECTED BRIDE - you'll really want to look up her other books. Debra crosses genre lines and does it quite successfully! We're Not Blended We're Pureed, is a must-read for those who are RE-married (via divorce or widowhood) with his/hers/ and maybe added 'theirs' to the mix. This can be a sensitive issue but MS. Brandmeyer handles it with finesse' and speaks from experience. She takes us into her world of normal struggles and joys from widow-hood to remarriage with children, she shares from her heart and a wealth of 'experiential expertise'. Lesire Brandmeyer has a wit that keeps the book from being a technical manual and in an amazing way has told her story by keeping it 'real'. Who needs embellishment or fiction when they have real- life in blended families? 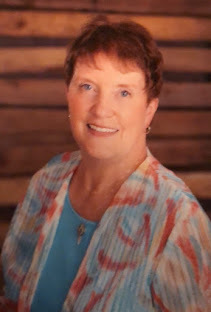 Marty C. Lintvedt who has put the finishing touches on each chapter - uses her well-honed mental health training, and at times, her own personal history. MS. Brandmeyer takes us into her world at the beginning of each chapter and then MS. Lintvedt follows up in the second part with a response in the clinical and more technical information. Both women manage to provide practical suggestions and resources to help blended families transition into a well-rounded and happy units. It was my personal observation that although this is a tough issue to address and could have been touchy for Diana and Marty to discuss, it was handled in such a way that a reader comes away with some extremely important knowledge as well as having found they are pretty normal in the things they face while going through the process of bringing two families together to make it one unified group. With an honest - sometimes - humorous approach, this book leaves one ready to tackle the next issue their family faces. The drawing will take place on Monday ~ August 8, 2011 in the evening ~ Don't wait too long to leave a comment.